SCADA is a system of hardware and software that combines industrial automation and control. 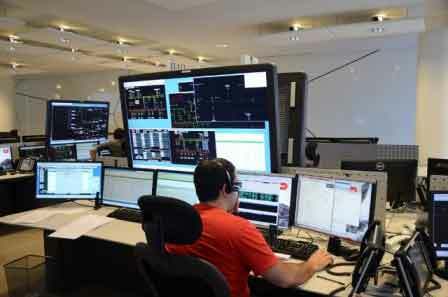 Short for Supervisory Control And Data Acquisition, SCADA are the backbone of modern industry. It allows industries to monitor, gather, and process data; interact with and control machines and devices such as valves, pumps, motors, and more, which are connected through HMI (human-machine interface) software, and record events into a log file. The course deals mainly with data acquisition and management. Students will learn the applications of SCADA software, SCADA features, creating applications, creating database tags, developing graphic displays, trending, communication with PLC and other hardware, and commissioning of network nodes. CADD Centre’s STAAD.Pro training covers all applications of SCADA software. SCADA Operator, SCADA Programmer, Automation Engineer, SCADA Modelling Engineer, SCADA Maintenance Engineer and Instrumentation Engineer are some of the jobs available in this domain.